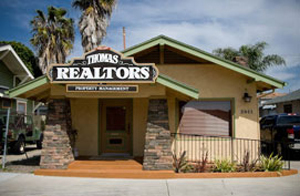 When we decided to rent my mother-in-law’s home in San Diego, we contacted Thomas Realtors to take care of the house, find renters, collect the rent, pay the basic bills and oversee any repairs needed. Thomas Realtors are always in contact with us, send us monthly statements on time and they direct deposit the rental income. Being out of town, we needed a reliable Management Company. They are very friendly and professional and I recommend them greatly.